Mother Nature is amazing. The matrix ( the pattern ) in this stone is all natural. No two stones are alike. 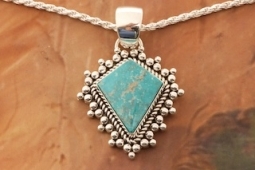 Genuine Mongolian Turquoise set in Sterling Silver Pendant with an 18", 2.2 mm Sterling Silver Diamond Cut Rope Chain. 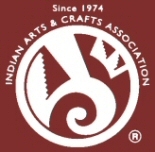 Created by Navajo Artist Artie Yellowhorse. Signed by the artist.